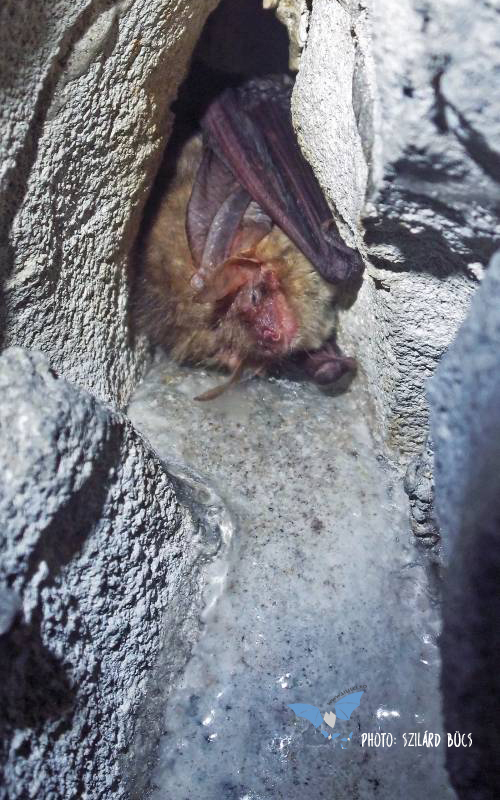 Dear readers and bat enthusiasts! 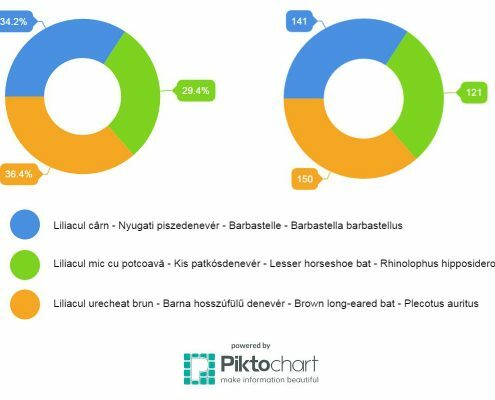 The first competition, the first public vote to designate the “Bat of the year” in Romania in 2017 has ended on Sunday, March 19th, at midnight. It was an extremely tight race, at one point the three finalists having the same number of votes. But in the end we can say that the competition was won by an ear’s length! Literally. Left: Percentage of votes obtained by finalists. Right: Number of votes obtained by finalists. Below: The evolution of the number of votes in the period of 2017.02.26 – 2017.04.19. 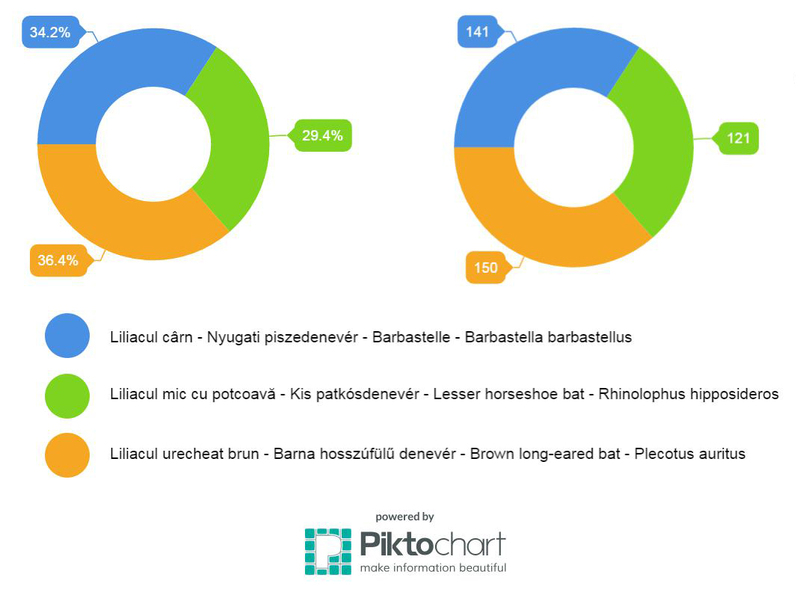 Based on the “Bat of the year” designation, throughout the year the Lilieci.ro portal will provide information about the brown long-eared bat, and add photos to the gallery dedicated to this species. We will also answer any questions regarding this species, and based on possibilities, will create printed materials. You can find below once again the detailed description of the winner. Also, in the gallery dedicated to the 2017 competition, you can find all pictures of the three finalists. 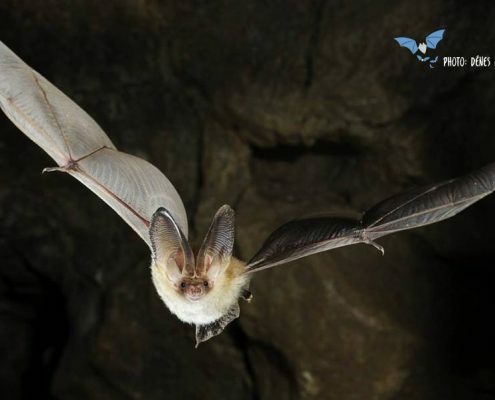 If you have any questions regarding the Barbastelle, the lesser horseshoe bat, or any other Romanian bat species, do not hesitate to contact us. 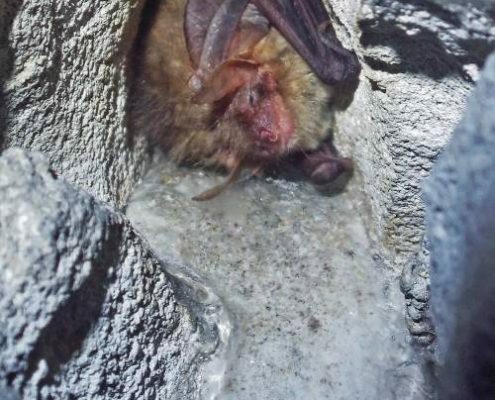 Appreciating once again your effort and your opinion, we invite you to explore the Lilieci.ro portal’s content, to share the information you find exciting, and even become an emissary of bats. Finally if you consider that we have earned it, you can support our work by making a donation. 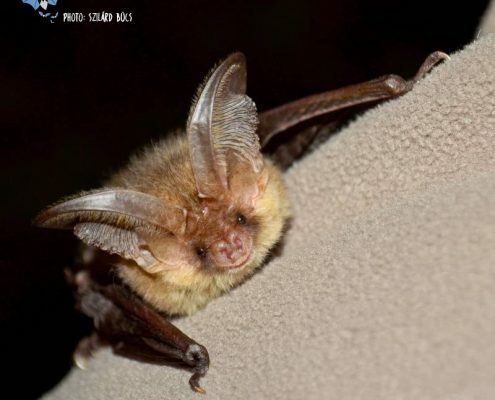 In a world where social status would be based solely on the size of ears, the brown long-eared bat (Plecotus auritus) would be among champions: its ear length is almost equal to its body length. But the life of the species is not made harder by the presence of these oversized ears, but in reality they provide an advantage. 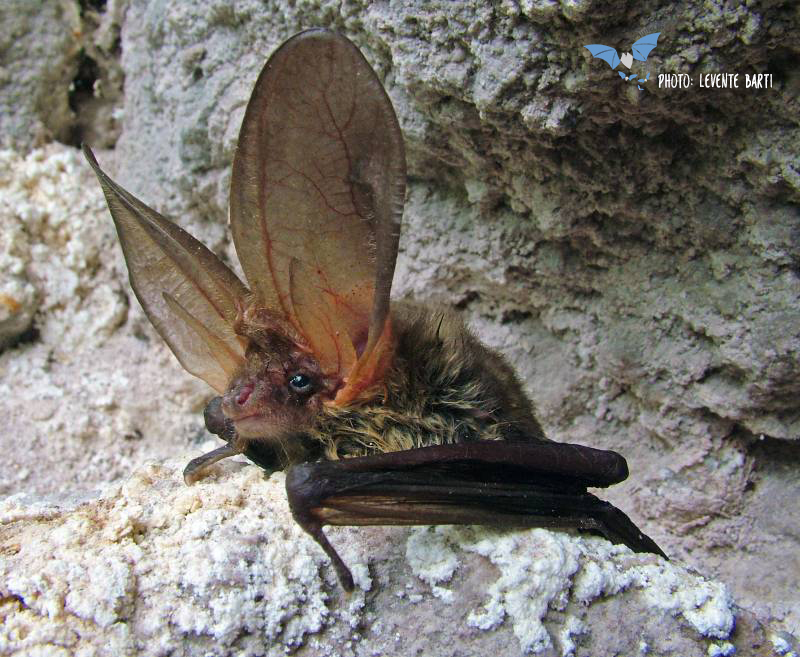 In old deciduous forests, but also in parks and gardens, where the brown long-eared bat prefers to hunt, good ears are very useful. 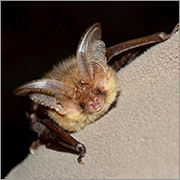 Flying with slow and precise maneuvers near vegetation and in the canopy, the bat emits very weak ultrasounds. 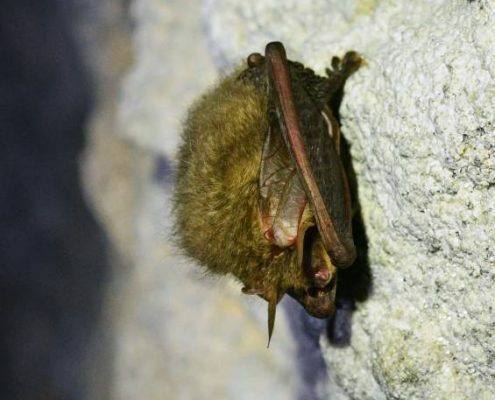 Compared with other bat species, these ultrasounds are in the category of whispers, but even so provide detailed information about the environment, including about unsuspecting insects. 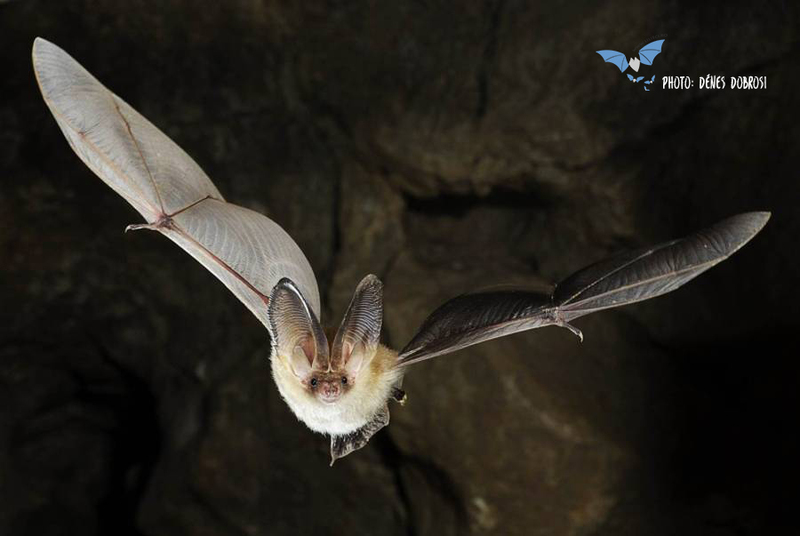 The maneuverable flight and orientation helped by huge ears allows the bat to collect these insects with high precision directly from leaves. 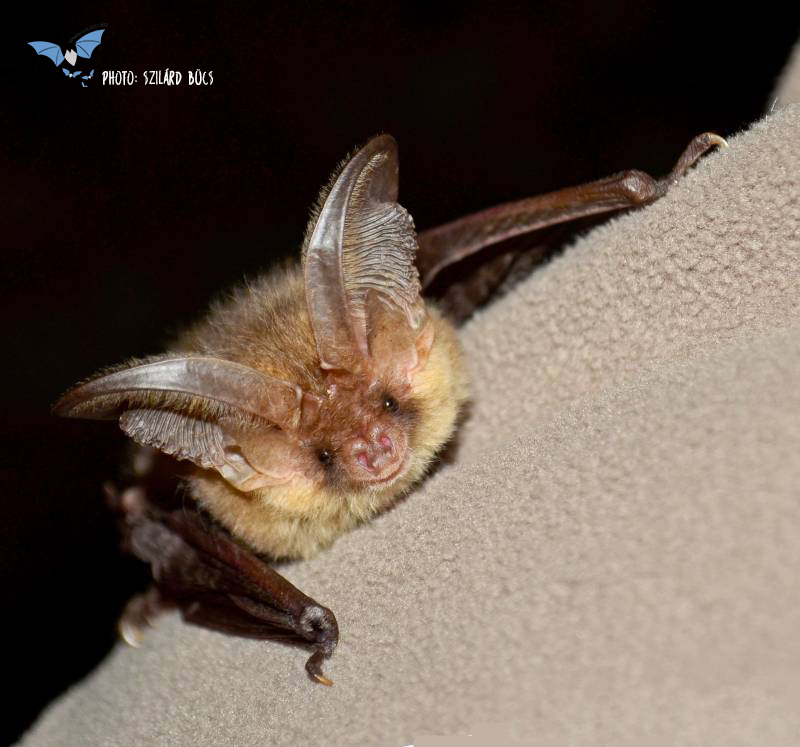 Even with such ears, we will rarely see a brown long-eared bat resting or hibernating with fully opened ears. 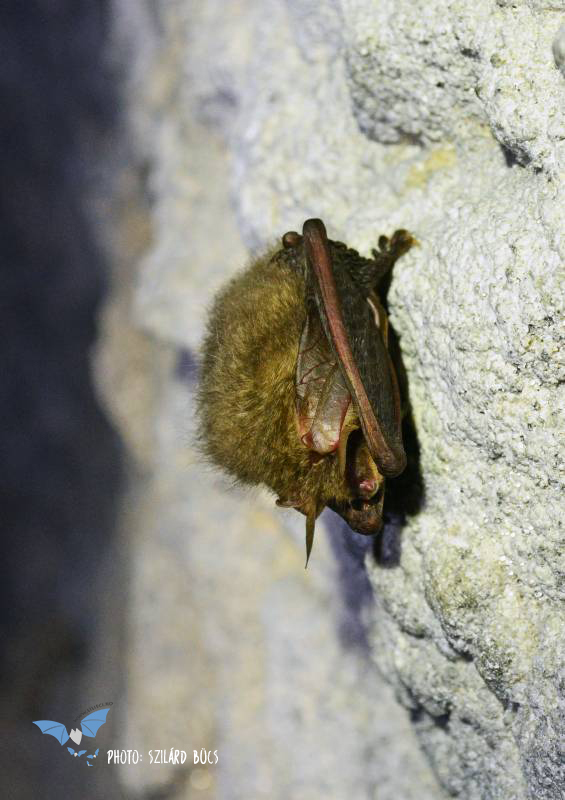 The species frequently used the entrance areas of caves, where temperatures can be very low, near or below freezing. This cold temperature would harm the fragile structure of the ears, it would effectively freeze them. They are better protected under the forearm and wings of the bat. 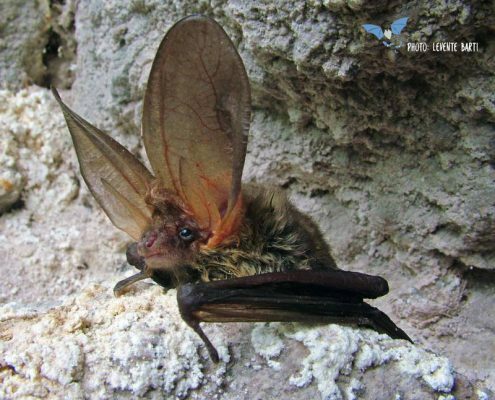 Yes, the brown long-eared bat has ears so great, that when resting, they need to be ….folded. During summer the species uses buildings and hollow trees to form nursery colonies. 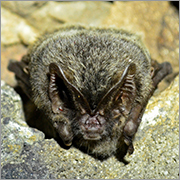 The protection of old deciduous forests is essential not only for the brown long-eared bat, but also for a series of other bat species. In addition, it is essential that buildings used by nursery colonies are properly managed, including their wooden structure, which needs to be treated accordingly. 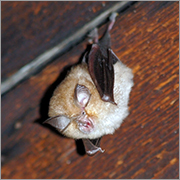 These wood treatments, if done with toxic materials, can cause the death of bat colonies, due to the fact that bats come into direct contact with lots of parts of the building, including with the air inside the room. Thus, it is important to use methods / materials that do not include toxic substances, ex. hot air or CO2 treatments.